Not far removed from his exceptional Ex Machina, director Alex Garland steps behind the camera again for another Sci-Fi venture. This time the weirdness is elevated to ridiculous levels, creating a world that’s as equally mesmerizing as it is terrifying. Throw in an excellent cast full of talented women and the recipe is set for a successful film. Lena's (Natalie Portman) husband Kane (Oscar Isaac) has been missing for a year. He abruptly re-appears in her house, confused as to how he arrived. Kane begins hemorrhaging from the mouth, and en route to the hospital, both he and Lena are abducted by members of a government organization known as the Southern Reach. Lena meets Dr. Ventress (Jennifer Jason Leigh), a psychologist who informs her that her husband is the only surviving member of an expedition to enter "Area X," a mysterious region of space within a US National Park located around swampland. Annihilation delves so deep into this world that Garland and crew have created, taking audiences on a weird and wonderful Sci-Fi journey. The film is a high-minded affair that isn’t afraid to challenge its audience with complex themes and a riveting mystery. It manages to craft its story in a way that allows the audience to remain in the dark much in the same way that the characters do. Though the story and visuals make Annihilation remarkable, the cast is just as great and only elevate the film beyond the spectacle. Natalie Portman leads the film, and rightfully so. She possesses the ability to toe the line between curiosity and confusion that Area X inspires. Tessa Thompson and Gina Rodriguez stand out as characters who each feel essential but have terribly interesting personalities as well that add to the dynamic of the group. The only performance that doesn’t quite work, though admittedly still good, is Jennifer Jason Leigh’s Ventress. The performance is fine, but the character is more straight laced with a limited personality compared to the others. Director Alex Garland is able to make the most of the astounding visuals by finding the horror in the beauty that is Area X. Yes, there are a handful of terrifying creatures, but even the unknown mutation of the flora can make your hair stand on end. It’s classic Sci-Fi, asking for more from the audience and guaranteed to fester in the mind long after leaving the theater, begging for interpretation and conversation. 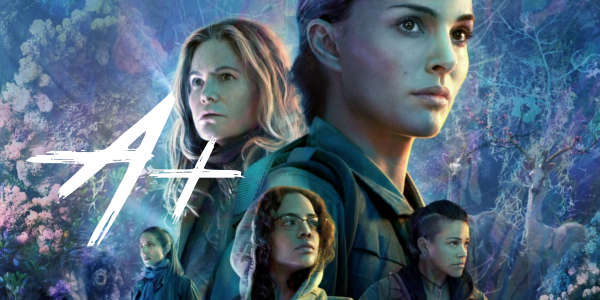 Overall, Annihilation is a complex and compelling Sci-Fi film that never deviates from its very clear intentions to craft an interesting mystery. The performances are all great, even if one didn’t work quite as well, and the visuals are unbelievably gorgeous and inventive. 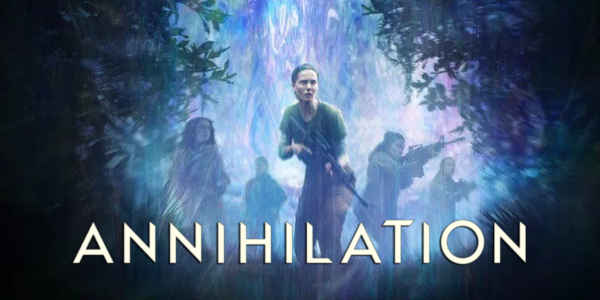 It won’t be everyone’s cup of tea, cerebral Science Fiction rarely is, but for those eager to be challenged by their film-going experiences, Annihilation is a must-see.